Q. What’s the best way to stop a dog who has been successfully counter-surfing its whole life? I have a 3 year old dog that I adopted a year ago. She was obviously allowed to get away with this all the time. Now she is by far the worst and most determined counter/table surfer anyone has ever seen. She is so fast, you don’t have time to react – so she is very successful and she does not give up. Yesterday we had a BBQ and all day long we were putting her out in the yard by herself for a 5 min time out every time she tried to steal food off the tables. I thought separating her from all the people and my other 2 dogs so she could see them but not be with them, she would finally get the idea but she never did. A. “Counter-surfing”, for those who are unfamiliar with the term, refers to searching for (and many times stealing) food or other valuables from countertops, tables and other raised surfaces. Dogs have learned that many of their favorite forbidden items, such as paper products, eyeglasses and remotes “live” in these areas of our home. The reason time-outs don’t work in the situation you’ve described is because time-outs are brief (30-second) periods of social-deprivation. For a well-practiced counter-surfer in search of food, social interaction is not the primary goal of her pursuits… FOOD is. What your dog has developed is a well-ingrained foraging strategy that works for her. The game of chase is an added bonus! 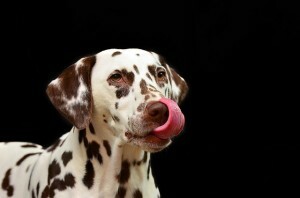 Dogs are opportunists, especially when it comes to food. In fact, one theory behind the evolution of dogs involves their exploitation of village dumps, a niche from which the contemporary human-canine bond descended Dogs: A New Understanding of Canine Origin, Behavior and Evolution. So it only stands to reason that prevention has to be the first line of defense in teaching dogs not to search for and steal food off our counters. When prevention is not possible, an owner needs to have several intervention tactics. For instance, let’s assume the primary source of stolen food items come from the kitchen. Baby gates would prevent the dog from roaming in and out of the kitchen at will, especially during meal preparation. By keeping your dog out of the kitchen, she will likely settle down in another area not to far from the kitchen. When she does, walk a treat (keep some in your pocket) over to her. She may get up again, but as you go about your business in the kitchen, she’ll eventually settle back down in the same area. Take another treat to her. Repeat and practice. Over time your dog will know what works in her favor when you’re in the kitchen. By rewarding your dog for good behavior and limiting her access to the kitchen, the stealing behavior will begin to diminish. Of course, you will need to continue to keep food and enticing items off countertops in order to help her be successful. For those times you catch her looking around, a good “leave it” response will help you intervene and redirect her bad intentions. Oh yeah – and be sure to stop any games of “catch me if you can” that occur in an effort to get your stolen stuff back. Teach your dog to drop what’s in their mouth instead. 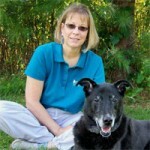 ← Distraction Training – What’s your dog’s nemesis?